A rare pine with a disjunct distribution in the central and southern Annamite Mountains in Lao PDR and Vietnam. Deforestation and logging in some parts of its range have led to an assessment of Near Threatened. Pinus dalatensis is a variable species: in some works subspecies (subsp procerus Businsky) and varieties (var. bidoupensis Businsky) are recognised while the most northern populations currently known have been described as new species - P. anemophila Businsky. Only a limited amount of genetic work has been undertaken so far - Dinh et al used SSR markers to examine genetc variation within and between six Vietnamese subpopulations and found significant population differentiation. However, the study did not include any material from the most northern population on the border of Khammouan and Quang Nam. It is unclear if the differentiation coincided with morphological variation. Until 1999, this species was only known from only one area near Dalat in the southern highlands of Viet Nam (Businský 1999). Since then it has been found in several more provinces, extending as far north as Quang Nam and Quang Binh Provinces in central Viet Nam. 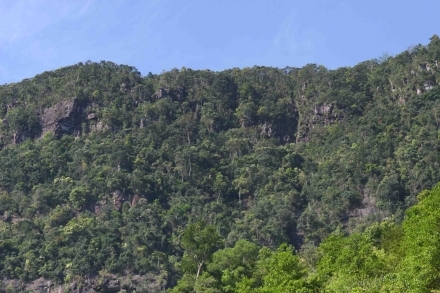 In addition a small stand was discovered in Khammouan, Lao PDR in 2006, growing on an escarpment in the southern part of the Nakai Nam Theun protected area. Subsequently it was also found on the Vietnamese side of the border. and it has also been recorded from the Xe Sap National Protected Area in Salavan and Xekong Provinces in southern Lao PDR. Its distribution is still incompletely known. Based on the known localities the extent of occurrence is more than 20,000 km². The area of occupancy is unknown but likely to be relatively small (<2,000 km²), given its sporadic distribution. 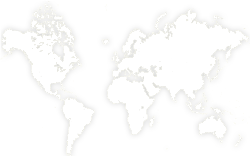 There are at least eight known locations. Pinus dalatensis is a submontane and montane pine growing in a tropical climate between (550) 1,400 and 2,300 (2,600) m and forms stands of a few to about 300 trees surrounded by evergreen angiosperm forest dominated by members of the Fagaceae. In most localities, the pines occupy rocky outcrops or ridges and adjacent slopes where competition from broadleaves is less intense. Some other conifers may also be present, among these are the rare pine P. krempfii (Dalat area only) and Fokienia hodginsii. In Nakai Nam Theun in Lao PDR, Pinus dalatensis is associated with Calocedrus macrolepis, Dacrycarpus imbricatus, Dacrydium elatum, Keteleeria evelyniana, Fokienia hodginsii, Pinus latteri, Podocarpus neriifolius and P.pilgeri. This species is rarely directly exploited, probably due to its rarity. In areas where it occurs with Fokienia, trees may be felled to improve access to Fokienia stands. Pinus dalatensis' extent of occurrence is beyond the 20,000 km² threshold for Vulnerable (VU) under criterion B1. However, the area of occupancy (AOO) is likely to be much less than 2,000 km² which is within the threshold for VU under criterion B2. There are currently less than 10 locations and there has been a recent decline in its AOO and quality of habitat within limited parts of its range. However, as the decline is very limited in extent, given that the majority of the subpopulations are in remote, relatively undisturbed areas as well as the high likelihood of new localities been found, an assessment of Near Threatened is more appropriate than Vulnerable (almost qualifies under criterion B2ab(ii,iii,iv)). In the southern parts of its range and at lower altitudes, forest clearance, forest conversion for agriculture and infrastructure developments have resulted in the loss or degradation of some stands including those where the type specimens were collected. In other parts of its range, exploitation of the associated conifer Fokienia hodginsii, has also degraded some stands. The majority of the known stands are within protected areas. In Viet Nam, it is known from the following reserves: Ngoc Linh, Bach Ma National Park, Kon Ka Kinh Nature Reserve, Chu Yang Sinh, Deo Ngoan Muc and BiDoup-Nui Ba (Viet Nam). In Lao PDR it is recorded from the Nakai Nam Theun protected area in Khammouan and from Xe Sap NPA in Salavan and Xekong provinces. Averyanov, L.V., T.H. Nguyen, K.S. Nguyen, T.V. Pham, V. Lamxay, S. Bounphanmay, S. Lorphengsy, K.P. Loc, S. Lanorsavanh, K. Chantthavongsa 2014. Gymnosperms of Laos. Nordic Journal of Botany 32(6):765-805. Businsky, R. 1999. Study of Pinus dalatensis Ferré and of the enigmatic 'Pin du Moyen Annam'. Candollea 54:125-143. maps, sp.nov. Businsky, R. 2010. 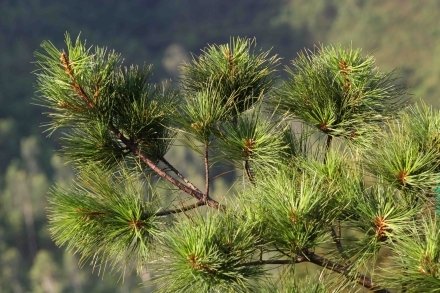 A new species of soft pine from the Vietnamese border of Laos. Acta Pruhoniciana 96:5-13. Dinh, T.P., T.T.H. Vu, T.L. Tran & T.H. Nguyen 2016. Genetic diversity in the natural populations of Pinus dalatensis Ferré (Pinaceae) assessed by SSR markers. Journal of Science and Technology 54(2):178-189. Thomas, P., K. Sengdala, V. Lamxay, E. Khou 2007. 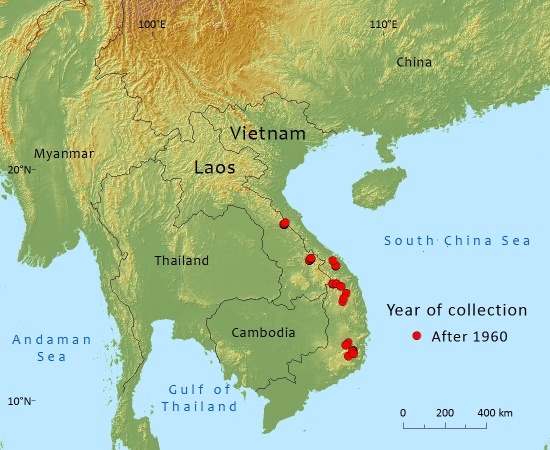 New Records of Conifers in Cambodia and Laos. Edinburgh Journal of Botany 64(1):37-44. Thomas, P. & Phan, K.L. 2013. 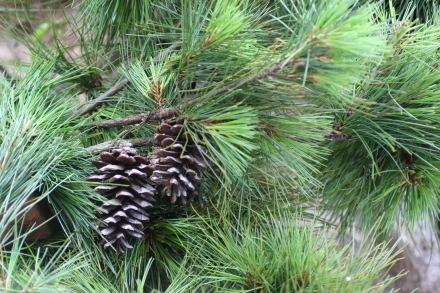 Pinus dalatensis. The IUCN Red List of Threatened Species 2013: e.T32803A2823679. 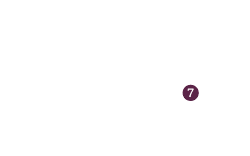 http://dx.doi.org/10.2305/IUCN.UK.2013-1.RLTS.T32803A2823679.en. Downloaded on 01 November 2016. P.Thomas, 2016. Pinus dalatensis, from the website, Threatened Conifers of The World (http://threatenedconifers.rbge.org.uk/taxa/details/1118).